11. Can You Leap Like A Frog? 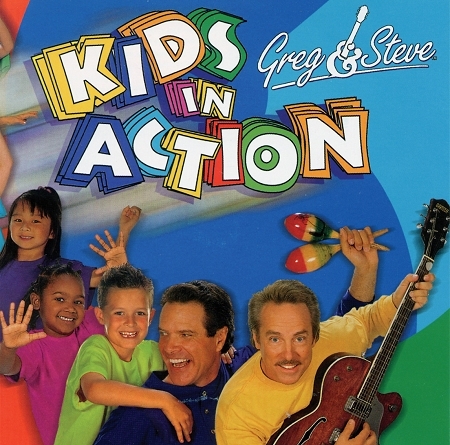 A must have, Kids in Action is packed with movement songs that direct themselves. Some teachers call it, "P. E. in a box!" Kids get moving again and again. Movement, sing along, repetition. Goin' On A Bear Hunt; Get, Ready, Get Set, Let's Dance; Beanie Bag Dance and more.